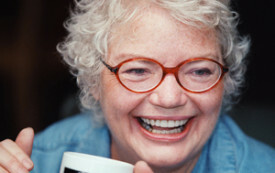 Molly Ivins was a syndicated newspaper columnist, co-author of Shrub: The Short but Happy Political Life of George W. Bush (Random House) and Bushwhacked (Random House). An excerpt from the new eBook, Molly Ivins: Letters to The Nation. Jack Gordon, "the unabashedly liberal conscience of Florida's State Senate," was chosen majority leader at a time when his politics should have made him an anathema. His fight against discrimination and his involvement in state politics helped many powerless Floridians. Bush's home is a damn peculiar place. Oh, sure, blame it on Texas. It's all our fault Jim Jeffords walked. Many, many people in Washington are assuming "the Texans" in the White House are responsible for this massive screw-up. Whereas everybody in political Austin assumes it. It's often hard to discern the difference between Texas Tough and Texas Stupid.